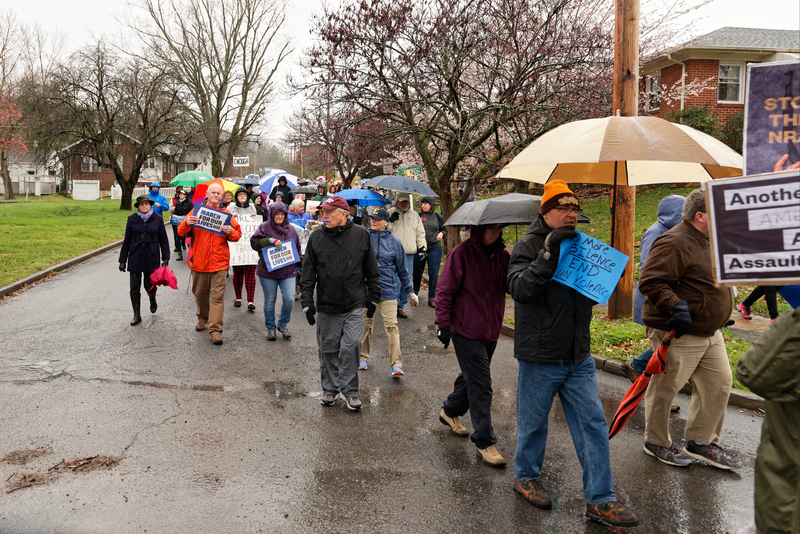 On Saturday, March 24, over 200 ETSU students and local community members rallied together in a nationwide protest demanding gun legislation reform in spite of rain and near-freezing temperatures. Activists began marching at the corner between West State of Franklin and University Parkway at the edge of campus. Upon reaching South Side Elementary, the marchers paused as SGA President Keyana Miller read aloud the names of the victims of the Feb. 14 Florida school shooting at Marjory Stoneman Douglas High School. The march concluded just outside the Culp Center Cave. From approximately 3 p.m. to 4 p.m., the marchers heard speeches by guest speakers including Jodi Jones, Allen Pickel, Brice Terry, Michelle Treece and Johnson City Vice Mayor Jenny Brock. 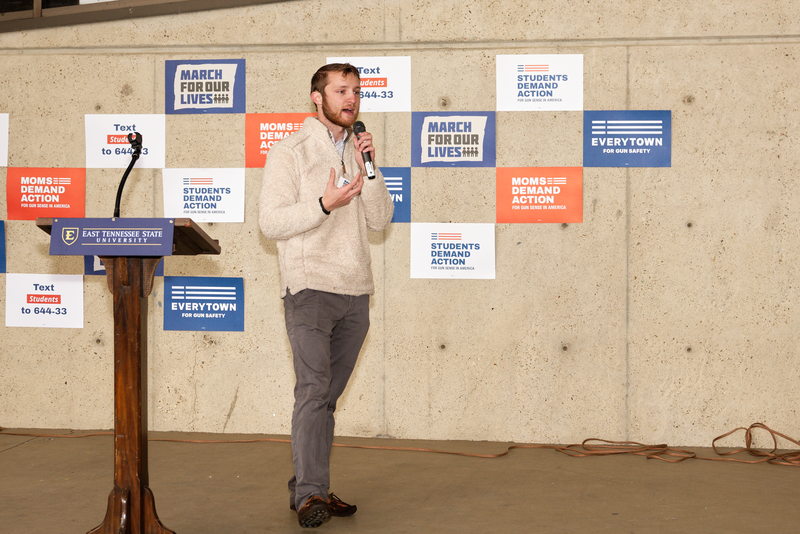 The Johnson City March for Our Lives event was planned, organized and led by Tri-Cities students and members of the group Moms Demand Action. The local march coincided with events by the same name that took place across the United States. The March for Our Lives demonstrations were formulated in response to the recent slew of gun-related school violence. The overall attitude at the march was positive yet driven. A couple counter protestors made appearances, but they were ignored. The marchers formed a diverse group in no way limited to specific ages, genders, creeds, ethnicities, religions or sexual orientations, showing safety to be a universal human concern. “The idea of teachers shooting a student, even if that student is a holding a gun, is unfathomable to me,” said retired teacher Michelle Treece. Gun reform is a broad topic. The local March for Our Lives demonstration did not directly advocate for any existing pieces of legislation. The exact opinions of the marchers certainly varied. That being said, the march was a clear statement that gun reform is needed for the safety of students and the public at large.